This content contains products provided by Simplay3, however, all comments and opinions are my own. 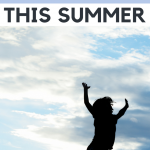 It’s July and the excitement that your kids felt when school let out has been replaced with reoccurring choruses of ‘I’m bored.’ Jump roping and bike riding are fun, but they’re ready for something a little more exciting! Thanks to Simplay3, we added some new items to our backyard to stir up some fun! 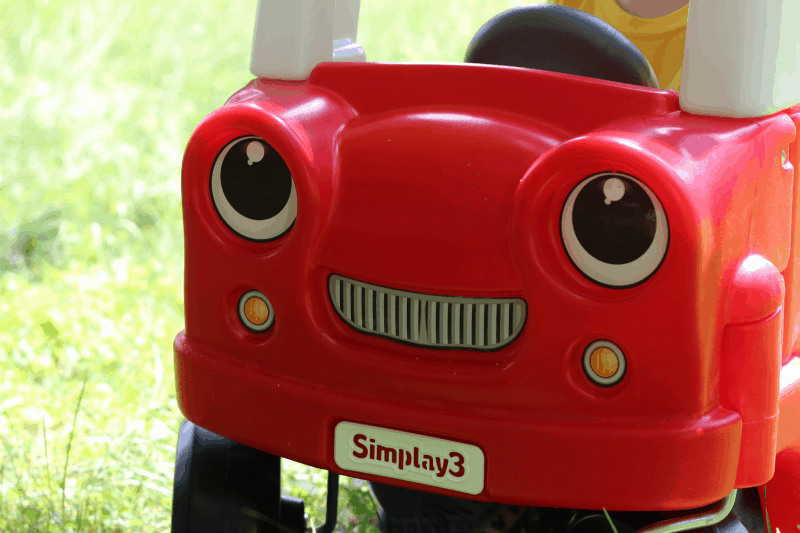 Simplay3 brings laughter and ease to life with products that have simple and smart designs that tackle everyday needs from kid’s play to home and garden essentials. Simplay3 strives to bring simple play back into focus for the whole family. 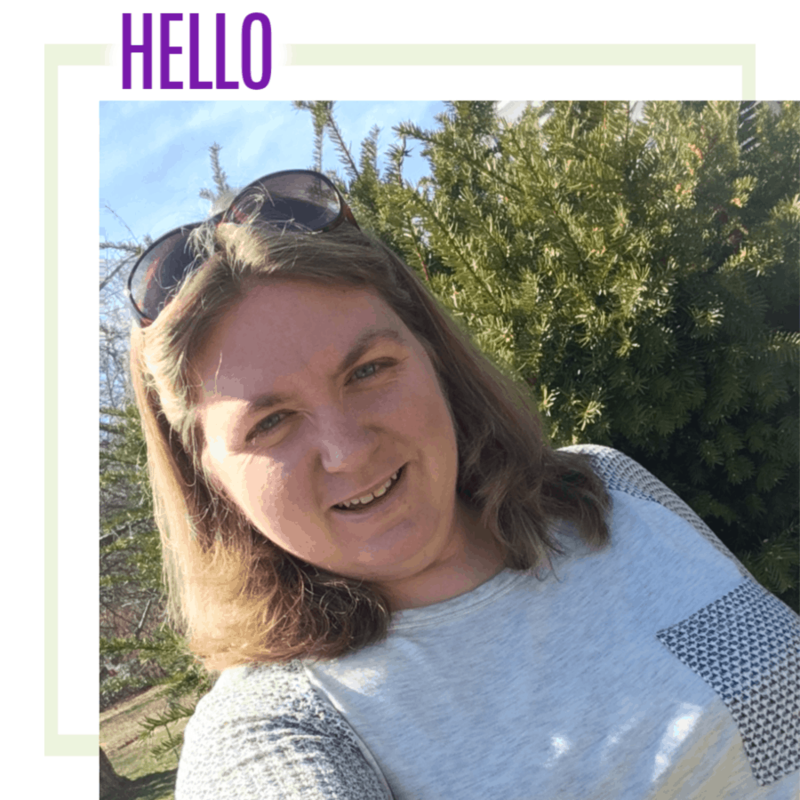 They believe in supporting child development and providing simple solutions to life’s most mundane tasks. The In & Out Activity Table is aimed at kids 2 and older. 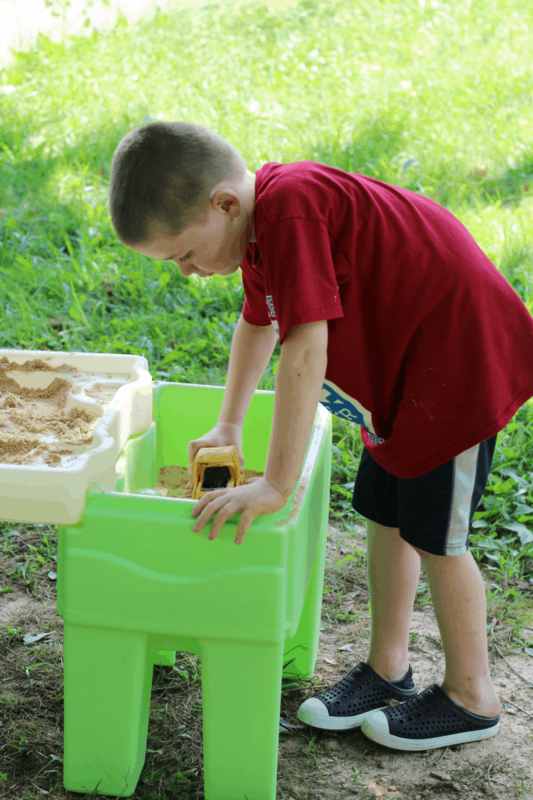 The table is great for encouraging interactive play, inside or out! 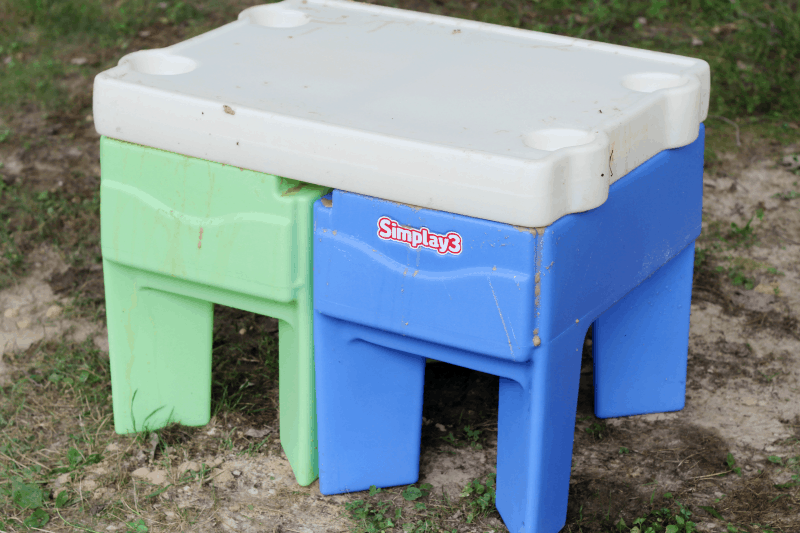 You can use the table as a regular table, or pull out the bins that support the table to add a new element of play. 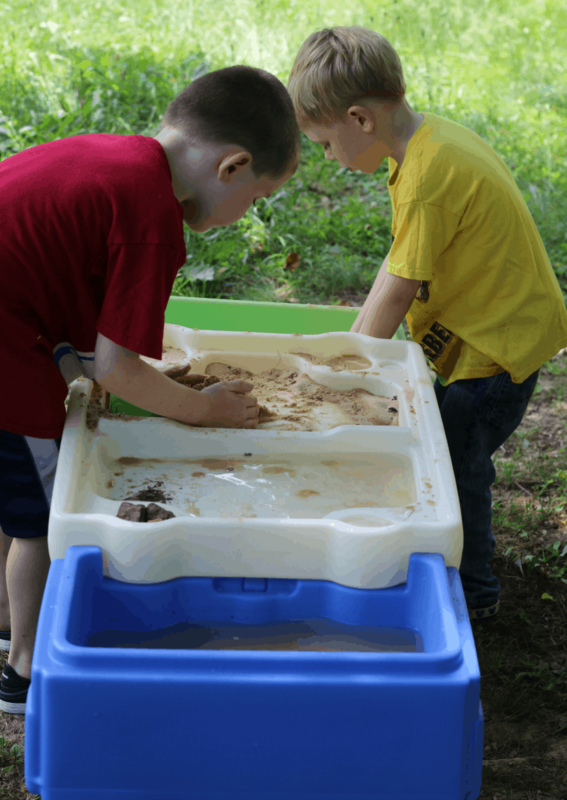 We chose to use our In & Out Table outside as a sand and water table. Each side bin will hold up to 2 gallons of water or 24 lbs of sand. 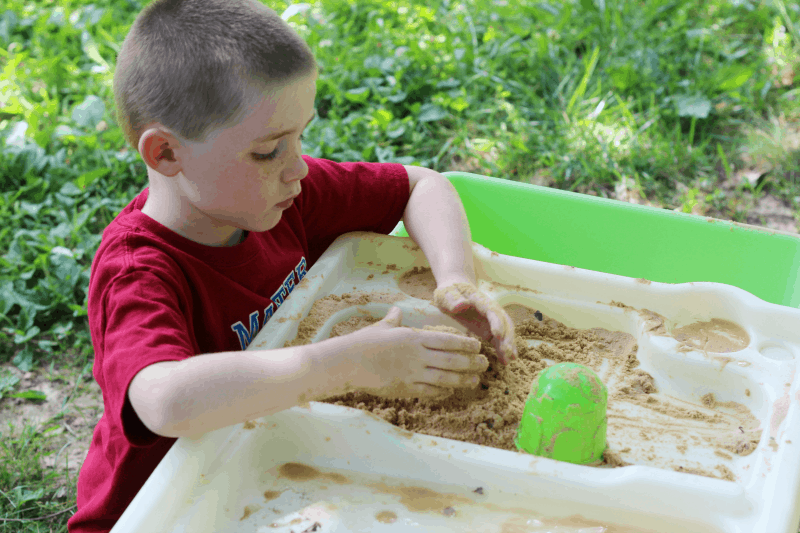 Just add some sand toys and water for an afternoon of fun! Of course, you could also use the table to store art supplies, building blocks, action figures, or a million other things to be played with on top of the table. 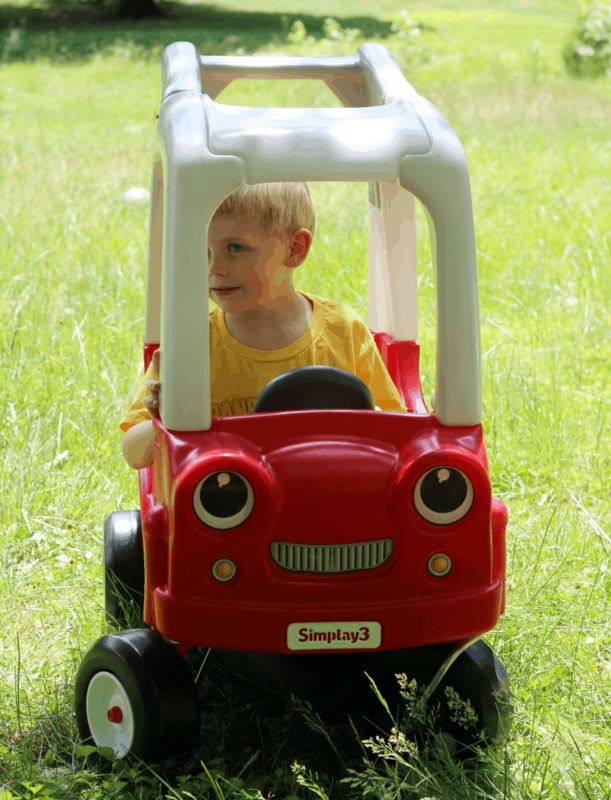 The My Buddy & Me SUV, for kids ages 1.5 to 5 years old, is perfect for my little one! There are actually two seats (a front and back). Each seat has a weight limit of 50 lbs per seat (100 lbs total). 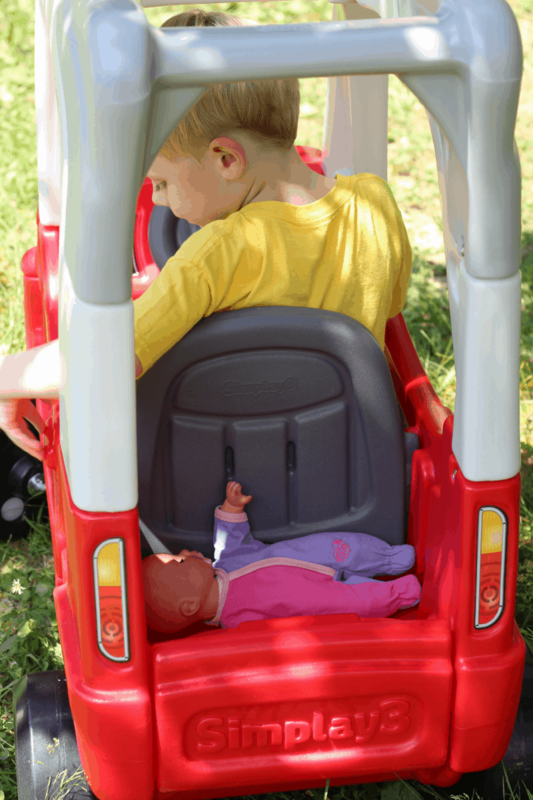 Owen loved being able to put his baby doll in the back seat and drive around the yard and play pretend. 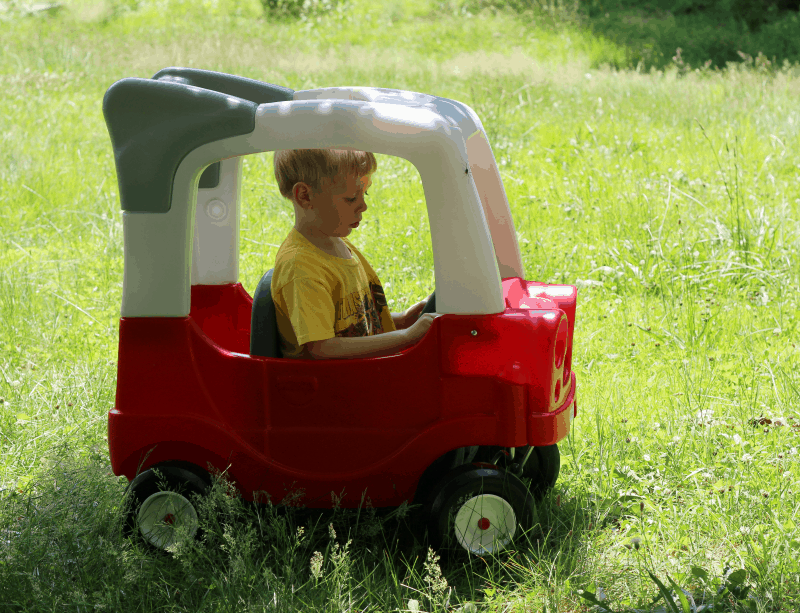 What’s really awesome about this SUV-styled riding toy is that it’s something that the kids can grow into. There is a large handle on the top that can make it a push toy for younger children unable to move it themselves. 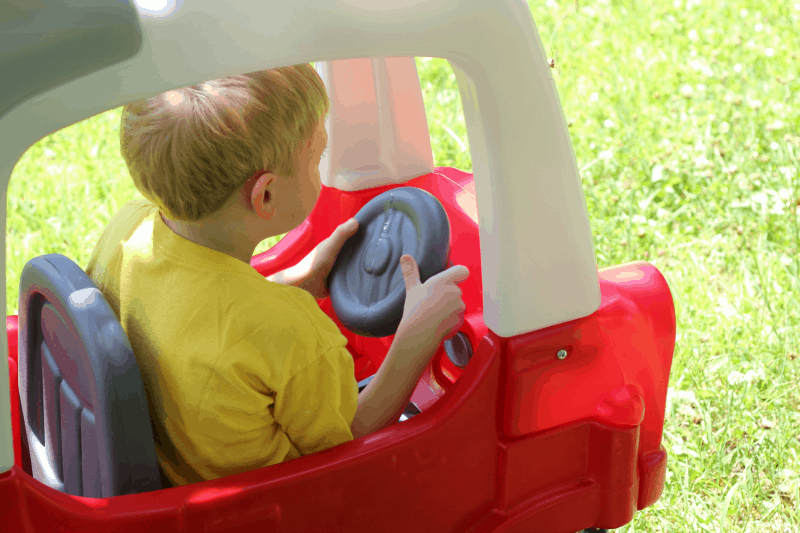 When toddlers are ready be in control, there is a removable floorboard panel that rotates and locks underneath so kids can drive with their feet. The front seat can be placed in two positions, again allowing room for growth. I love items like these that have so much potential for creative and open-ended play. 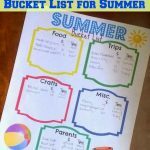 Whether your kids are couch potatoes who need a little encouragement to get outside or they are just looking for something exciting to keep them busy during the last few weeks of summer, they will love these ten amazing backyard summer activities. 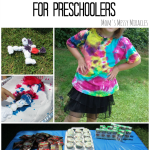 Take the fun of sprinkles up a level by creating a sprinkler obstacle course. Run through pool noodles, hop through hula hoops, and try to avoid being hit with a water balloon as you run through your very own wet and wild obstacle course. Purchase and plant a hummingbird bush and hang hummingbird feeders filled with sugar water in your backyard. Spend your summer mornings watching hummingbirds and documenting how they fly and when they eat. Get a group together and play a few rounds of water balloon baseball. One person bats at a time and everyone wins when you get showered by cool water on a hot day. Build a race track in the dirt and line it with small stones. Use old plastic, cardboard or just about anything else you can find to build ramps and bridges. Grab some hot wheels and see which car is the fastest. Fill water balloons and hang them from a tree. Take turns blindfolding the kids and letting them take a swing at the water balloons. The fun is in never knowing when you’ll bust a balloon and get soaked! In a wooded area, tie ropes back and forth between the trees. Pull them so that they are tight. 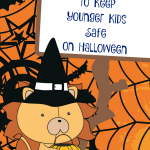 Then challenge your kids to climb through the ropes while you time them. If you don’t have rope, this can be easily done with paper streamers or yarn. Bubbles are fun, but bubbles that bounce are even better. Mix distilled water with one tablespoon of dish soap and one teaspoon of glycerin. Carefully mix the glycerin into the distilled water and then add the dish soap. Use a straw to carefully blow bubbles. 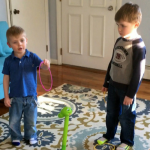 Watch in amazement as the bubble bounce around without immediately bursting. With just a little work and ingenuity you can build your very own secret getaway in your backyard. There are many ways to do this, but one easy way is to lean plywood against your house or fence. Secure it with 2x4s and nail it in place. Then cover your hideaway with vines. Another way to build a secret hiding place is to plant sunflowers in a circle. Leave the middle empty so that you can climb in and hide from the world. Fill old water bottles with glow sticks and water. Line them up like bowling pins and play a game of bowling in the dark. Fill a plastic tub with water and small toys. Place the whole tub in the freezer overnight. Supervise your little ones as they use hammers and other tools to chip away at the ice and uncover the treasures that are hidden in the ice block. Summer won’t last forever. 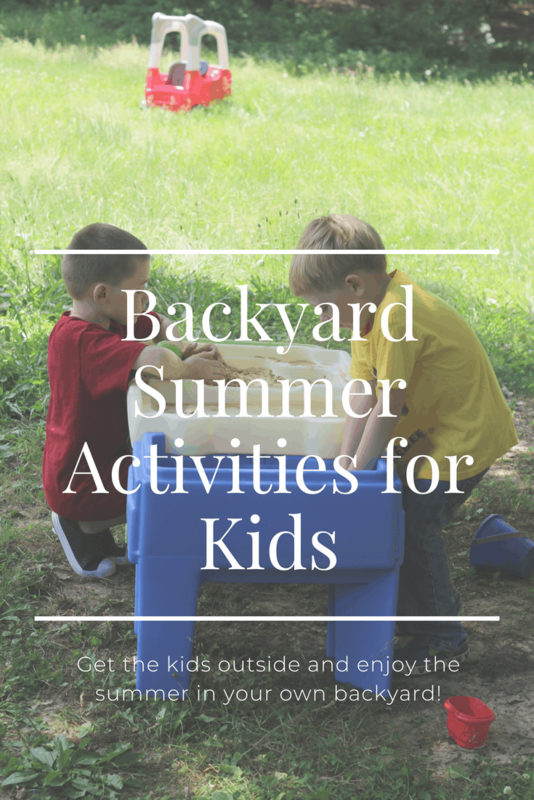 Make the most of it by planning a few of these amazing backyard summer activities to do with your kids.